Mary Jane Blige was born in January 1971, in Yonkers, New York. She made her entry into the entertainment industry by chance when she recorded herself into a karaoke machine in a shopping mall, singing “Caught Up in The Rapture” by Anita Baker. Fortunately, the tape reached Andre Harrell, chief of Uptown Records, who immediately engaged the brilliant 17 year old singer. She released her first album “What’s The 411?” with the help of producer Sean “Puffy” Combs. The album brought together traditional R&B sounds with the blues-inspired gospel vocals. The album received considerable praise from the critics and helped to established her as a singer. At that time, Blige was a sassy young woman, who loved to wear combat boots and talk trash. In simple words, she was a street-tough woman who knew how to deal with boys in her own way. Her second album was titled, “My Life” and contained songs that recounted her drug abuse and violent relationships. Even though it did not do well with the critics, she received the Grammy nomination for the Best R&B album. In 1997, she left Combs when she was accused of being highly unreliable and unjustly demanding and joined hands with producers Jimmy Jam and Terry Lewis who helped her to release “Share My World.” The album hit number 1 on the Billboard charts, even though it failed to impress the critics with its old soul sound. 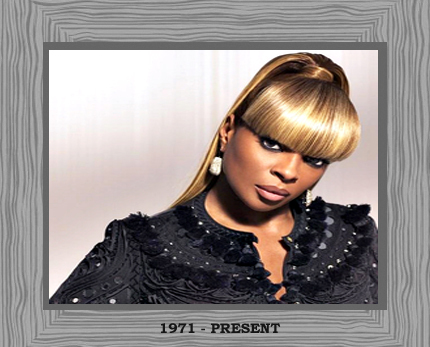 After two years, Blige transitioned into the mainstream and released the album “Mary” which featured compositions of Stevie Wonder, Elton John, and Diane Warren, plus a duet with Aretha Franklin. Blige saw further success in 2001, with her album “No More Drama.” She, at the time, also featured in various anti-drug public service messages and helped raise funds for various charity organizations for AIDS. In 2003, Blige again collaborated with Sean Combs and released “Love and Life.” In this album, Blige showed her creative side and contributed as a songwriter and 17 out of 18 songs were written by her. Blige also delighted her fans with live music tours first in 1998 and later with “The Mary Show Tour” (2000), the “No More Drama Tour” (2002), the “Love & Life Tour” (2004) and “The Breakthrough Experience Tour” (2006). The success of the album was followed by the “Growing Pains European Tour” (2008) and the “Heart of the City Tour” with Jay-Z that established Blige’s popularity as a great singer. In 2009, Blige performed at the Lincoln Memorial following the inauguration of Barack Obama. She also released her ninth album in 2009, “Stronger with Each Tear,” and began working on her forthcoming album. Blige married Kendu Isaacs in December 2003, who according to her has played a key role in keeping her sober and closer to her Christian faith. She lives in New Jersey, not far away from Bronx where she spent her childhood and works on her music that has given her life and made her understand her calling.